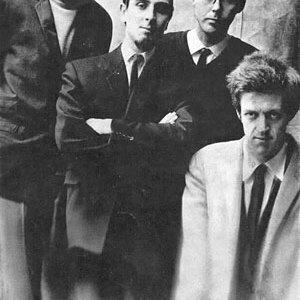 AMM is a British free improvisation group, founded in London, England in 1965. AMM have never been well-known to the general public, but have been, in their own way, hugely influential on several generations of adventurous musicians. AMM has been called "legendary" and "groundbreaking." They are notable as the perhaps the first musical group to deliberately try to make music not related to any established musical genre: as Michael Nyman wrote, "AMM seem to have worked without the benefit or hindrance of any kind of prepared external discipline. AMM have never been well-known to the general public, but have been, in their own way, hugely influential on several generations of adventurous musicians. AMM has been called "legendary" and "groundbreaking." They are notable as the perhaps the first musical group to deliberately try to make music not related to any established musical genre: as Michael Nyman wrote, "AMM seem to have worked without the benefit or hindrance of any kind of prepared external discipline." In a 2001 interview, founding member Keith Rowe was asked if "AMM" was an abbreviation; he replied, "The letters AMM stand for something, but as you probably know it's a secret!" There is an unconfirmed story that one of the group's members told John Stevens, in a confidence that Stevens failed to keep, that the letters stood for Art, Music, Madness. AMM was initially composed of Keith Rowe on guitar, Lou Gare on saxophone and Eddie Pr&eacute;vost on drums. Rowe and Gare were members of Mike Westbrook's band; Prevost and Gare were also in a hard bop jazz quintet. The three men shared a common interest in exploring music beyond the boundaries of conventional jazz, as part of a larger movement that helped spawn European free jazz and free improvisation. No AMM performance was ever planned; each was unique and spontaneous. The musicians tended to avoid any conventional melody, harmony or rhythm, and further sought an ensemble sound that often obscured any individual's role. It was, and remains, sometimes difficult to discern which musical instrument is making which specific sound on an AMM recording, due in part to liberal use of various extended techniques. Pr?vost has written, "The player could, at times, share a timeless immersion in a world of sound, while simultaneously being free to pursue their individual paths. It was not uncommon for the musician to wonder who or what was producing a particular sound, stop playing, and discover it was he himself who had been responsible." Members of the group have come and gone over the years, but Rowe and Prevost have usually been present for most recordings and performances; the latter has been the only constant in the nearly four decades of AMM music. AMM released their first recording, AMMusic 1966, on Electra Records UK in 1966. With this release, there were some initial similarities to free jazz, due in part to Gare's saxophone. One critic has written, however, that the resemblance was rather slight: "the overall sound of the group, even in 1966, was so different, so idiosyncratic, that it's not at all surprising that both new jazz and contemporary classical audiences were baffled, if not horrified." Lawrence Shaeff played with the early AMM; he had been a jazz bassist, but on AMMMusic, he played cello, accordion and other instruments. Percussionist Christopher Hobbs (a student of Cardew) also played with AMM in the late 1960s. The next AMM material to see release were the important The Crypt sessions from June 12, 1968. Further "out" and even less conventional than earlier material, one critic has written "An eerie sensation inevitably accompanies each listen to the raw streams of electric noise channeled on AMM's second album and early masterpiece, The Crypt. To ears informed by the twenty-first century, it's the uncanny feeling of listening to three-and-a-half decades of experimental music history as delivered in a chillingly prescient sort of reverse premonition... It's a little unnerving that the only records that seem to accurately describe the brave new soundworld harnessed on The Crypt came into being well after its creation." The Crypt sessions have been issued multiple times; twice in the 1980s as a double LP, and it is now available (with extra material, billed as "The Complete Sessions") on a double CD from Matchless Recordings. The Crypt continues to inspire adventurous listeners; in the liner notes to the 1992 double CD, Pr?vost writes, "Despite being (arguably) the most ?difficult' material on Matchless, The Crypt has been a mainstay for the label. It obviously pays not to underestimate the audience. Its continued success has enabled us to release other works. So we felt committed, obliged almost, to keep it available... this music has proved itself not to be ephemeral." Composer Cornelius Cardew joined AMM in 1966, performing on piano and cello. He worked with AMM intermittently until his death in 1981. Composer Christian Wolff performed with AMM in 1968. Cardew and Rowe became enamored of socialism and Maoist philosophies, and thought that AMM's music should reflect their sociopolitical outlook (Prevost accuses the pair of "cultural bullying"). This generated some tension in the group, which resulted in some AMM performances being made by alternating duos: Rowe and Cardew, Prevost and Gare.